Bismarck is the capital of the U.S. state of North Dakota and the county seat of Burleigh County. It is the second-most populous city in North Dakota after Fargo. The city's population was estimated in 2016 at 72,417, while its metropolitan population was 131,635. 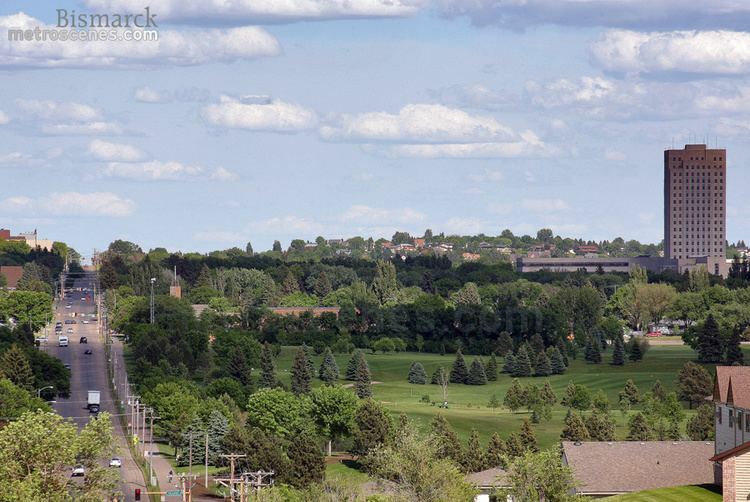 In 2015, Forbes magazine ranked Bismarck as the seventh fastest-growing small city in the United States. 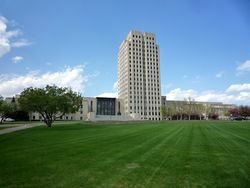 The North Dakota State Capitol, the tallest building in the state, is in central Bismarck. The state government employs more than 4,000 in the city. As a hub of retail and health care, Bismarck is the economic center of south-central North Dakota and north-central South Dakota. For thousands of years, present-day central North Dakota was inhabited by indigenous peoples, who created successive cultures. The historic Mandan Native American tribe occupied the area long before Europeans arrived. They spoke the Hidatsa language. The Hidatsa name of Bismarck is mirahacii arumaaguash ("Place of the tall willows"); the Arikara name is ituhtaáwe [itUhtaáwe]. Bismarck is at 46°48′48″N 100°46′44″W (46.813343, −100.779004). The Cathedral District is an historic neighborhood near downtown Bismarck. Named after the art deco Cathedral of the Holy Spirit. Some homes in this neighborhood date to the 1880s, although many were built in the first decades of the 20th century. At times, the city has proposed widening the streets in the neighborhood to improve traffic flow. Many residents object because such a project would require the removal of many of the towering American elms which line the streets. These have escaped the elm disease that destroyed street canopies of trees in Eastern cities. Situated in the middle of the Great Plains, between the geographic centers of the United States and Canada, Bismarck displays a highly variable four-season humid continental climate (Köppen Dfb) with strong semi-arid influences. Bismarck's climate is characterized by long, cold, somewhat snowy and windy winters, and hot summers that are at times humid. Thunderstorms occur in spring and summer, but much of the rest of the year is dry. As of the census of 2010, there were 61,272 people, 27,263 households, and 15,624 families residing in the city. The population density was 1,986.1 inhabitants per square mile (766.8/km2). There were 28,648 housing units at an average density of 928.6 per square mile (358.5/km2). The racial makeup of the city was 92.4% White, 0.7% African American, 4.5% Native American, 0.6% Asian, 0.3% from other races, and 1.5% from two or more races. Hispanic or Latino of any race were 1.3% of the population. At the time of the 2000 U.S. Census, there were 55,532 people, 23,185 households, and 14,444 families residing in the city. The population density was 2,065.2 per square mile (797.4/km²). There were 24,217 housing units at an average density of 900.6 per square mile (347.7/km²). The racial makeup of the city was 94.78% White, 3.39% Native American, 0.89% from two or more races, 0.75% Hispanic or Latino, 0.45% Asian, 0.28% Black or African American, 0.17% from other races and 0.03% Pacific Islander. In the city, the population was spread out with 23.5% under the age of 18, 11.1% from 18 to 24, 29.1% from 25 to 44, 22.4% from 45 to 64, and 13.8% who were 65 years of age or older. The median age was 36 years. For every 100 females there were 93.9 males. For every 100 females age 18 and over, there were 91.8 males. Bismarck operates under the city commission style of municipal government. Citizens elect five at-large city commissioners, which means they must generally command a majority of the electorate. This decreases the opportunity for smaller interest groups or minorities to elect candidates of their choice, reducing representation of the electorate. The president of the city commission fills the office of mayor of the city. The current mayor of Bismarck is Mike Seminary. The city commission meets every second and fourth Tuesday of each month. The city has two private high schools, the Catholic St. Mary's Central High School and Shiloh Christian School, operated by Protestants. There are five colleges and a university in Bismarck. The University of Mary is a four-year university, operated by the Benedictine Sisters of Annunciation Monastery. Bismarck State College is a two-year public college, the largest degree-granting institution in the city, and a member of the North Dakota University System. United Tribes Technical College is a two-year tribal college. Rasmussen College, a two to four-year private college, has a campus location in Bismarck. Sanford Health, formerly Medcenter One, operates a nursing school that offers a Bachelor of Science in Nursing. The campus is just north of the medical center. 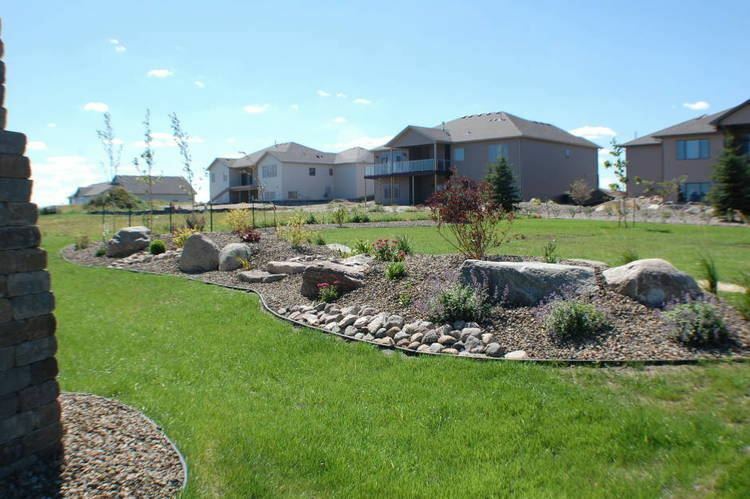 Bismarck has a large park system and an extensive network of exercise trails. The Bismarck Parks and Recreation District, established in 1927, operates many parks, swimming pools, and several golf courses within the city. The Parks and Recreation District operates roughly 2,300 acres (930 ha) of public parkland. Sertoma Park stretches more than 3 miles (4.8 km) along the banks of the Missouri River. 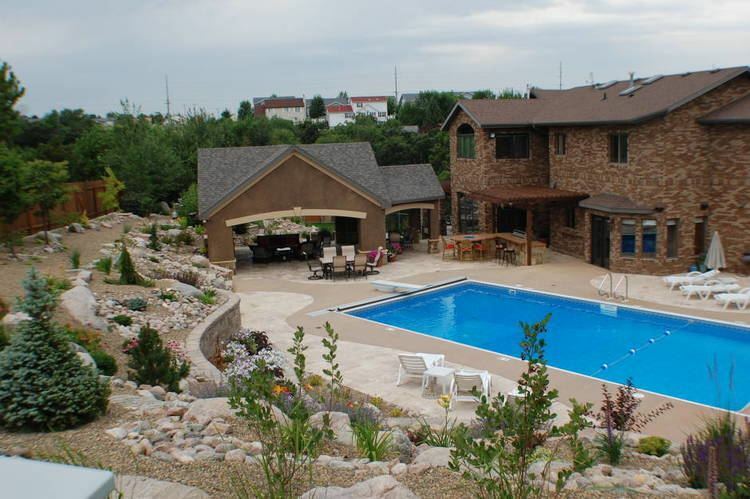 Within the park are several miles of biking trails and the Dakota Zoo. KYYY 92.9 FM (Contemporary Hits) "Y93"
KFYR 550 AM (News/Talk/Sports) "K-Fire"
The Capital Area Transit System (CAT) began operations in May 2004. This public bus system is operated by the Bis-Man Transit Board and has eleven routes throughout Bismarck and Mandan. Bis-Man Transit also operates a para-transit service for senior citizens and people with disabilities. The BNSF Railway runs east–west through the city. The railway was originally integral to the growth of Bismarck and Mandan. Today it is used for freight. Due to restructuring in the railroad industry, there has not been Amtrak passenger service in Bismarck since the North Coast Hiawatha service ended in 1979. The closest Amtrak station is in Minot, north of Bismarck, where the Empire Builder line runs.